Please support these companies that help support Manly Brothers. The Home of Rugby League – Channel 9. Started in 1994. Official Page of Channel 9’s NRL Footy Show; Wednesday 8.30pm. Hotel Steyne is a historic, family hotel and restaurant opposite Manly Beach. Bunnings is the leading retailer of home improvement and outdoor living products in Australia and New Zealand and a major supplier to project builders, commercial tradespeople and the housing industry. We are proud to assist and support a widespread and diverse range of local, regional and national groups across Australia and New Zealand. Over the year our team supported over 62,000 local community activities helping raise and contribute more than $35 million for community groups across Australia and New Zealand. From grass roots causes to local sporting clubs, schools and hospitals, we provide a wide range of support to a cross section of local community groups. The Balgowlah branch chooses to support Manly Brothers and is contributing product and expertise to upgrading the canteen. URM’s aim is to be recognised by the communities we serve and the Waste & Recycling Industry alike as a leading resource management company. Our mission is to develop, maintain and implement innovative waste and recycling solutions. URM is committed to exceeding customer expectations in the provision of integrated waste management services. 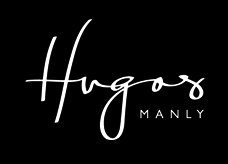 For more than 20 years, the Hugos Group has owned and operated some of Australia’s most recognised and awarded venues. Hugos Lounge & Hugos Bar Pizza in Kings Cross, Hugos Manly, Hugos Bondi and Brighton’s Pantry are renowned venues in Sydney and Melbourne. Argyle Property Group is a dedicated tenant advisory group providing support exclusively to lessees within the Australian property market. The company specialises in resolving premises related needs and lease management issues for clients across their commercial, industrial and retail leased portfolios. We take responsibility for the day-to-day dealings under client leases and provide detailed portfolio reporting and expenditure budget forecasts. Our aim is to take the headache out of managing your leased properties. Veritas Securities Limited (“Veritas”) is an Australian owned and operated licenced securities dealer and corporate advisory business. We pride ourselves on our ability to deliver effective investment solutions to a wide array of institutional, corporate and professional clients. Our tailored approach differentiates us from our competitors as we strive to provide individual solutions to meet the needs of each client. 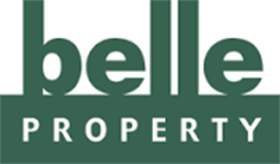 A leading office in the growing Belle Australasia network of 64 offices, Belle Property Manly represents a milestone in the Belle International network – its first Australian franchised office, launched by Principal Steve Thomas who remains at the helm today. 50% of the networks “top six” selling real estate agents proudly operate out of the Manly office. Manly’s property management portfolio also includes some of the areas most admired homes, occupied by multi-national executive tenants. Situated between Manly and Dee Why lies the Northern Beaches best kept secret… Club North Manly. We are known as “The Friendly Club” because we offer our members and guests good old fashioned service, great prices, great facilities and an atmosphere just like your favourite country pubs and clubs used to be. See you soon at Club North Manly. Private Certifiers Australia’s commitment is achieved through best practices and sound holistic advice to clients in the area of construction certification and building regulations. We build on alliances already forged within the construction industry to provide a useful network for our clients to utilise and gain maximum benefits from dealing with Private Certifiers Australia. St.George has a rich history of supporting small businesses and local communities. From our humble beginnings as a building society in 1937, St.George has always strived to help more Aussie businesses start, prosper and grow. That’s why we’re proud to be a sponsor of the Manly Christian Brothers League Club. SpeedGas has been operating for over 20 years and our head office is located at Manly Vale, in Sydney. SpeedGas started business selling helium gas to shops and promotional companies, large retail outlets and corporate customers. Over the years this business has expanded and at the request of our customers, SpeedGas diversified into associated equipment and consumables to the market. Today SpeedGas offers a wide and always expanding range of gas and equipment products, which includes Argon, Argon Mixes, Oxygen, Nitrogen, Carbon Dioxide, Beer Gas and others. SpeedGas is also a cylinder wholesaler as well as a gas supplier. Therefore SpeedGas can sell cylinders to you outright. This is one way you can avoid paying ongoing rental on your cylinders. SpeedGas is an authorised testing facility and hydrostatically tests cylinders. When you purchase your cylinder from SpeedGas all you have to do is return the cylinder to us every ten years and we will re-test it for you. Use Rhino Australia as your go to online shop to buy rugby league balls, ball bags and accessories, rugby league tackle bags, rugby league training equipment, rugby league protective gear, rugby league teamwear, and physio & medical supplies to ensure that you or your rugby league club get the highest quality sporting equipment at the best price. All of Rhino’s rugby league balls are made with best ply and materials, and manufactured according to the SEDEX standards of ethical trade, meaning no child labour is involved. Our entire range can be customised to your teams colours and with your club logos. See some example work we have done to get some ideas or try out our custom ball web app that allows you to interactively see what the ball will look like now! All this can be found on out custom rugby league balls page. T.M. 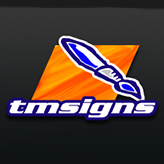 Signs Pty Ltd was established in 1991 as one-man traditional signwriting operation. It now has expanded through computer cut signage to full digital graphics and beyond… we’ve remained a small business, with low overheads, but with the ability to cater for clients as large as Vodafone Australia. Our overheads are very low, so we are able to pass on the savings to our customers. We pride ourselves on personal service, with an eye to detail, and quality is always assured. We hope to work closely with you on projects from the smallest point-of-sale material and traditional signwriting, to large format digital imaging. 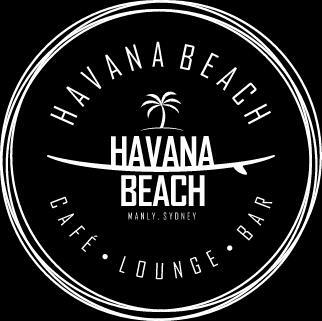 Havana Beach is a Cafe, Lounge and Bar located on South Steyne in Manly. With amazing Beach views and a great atmosphere for Breakfast, Lunch or Dinner. Sunshine n Water is a boutique marketing agency which infuses your projects with energy, so you can reach your business goals.